What’s in a good olive oil? There should be nothing but the pure juice from olives in your olive oil. But in a book released this year, American Tom Mueller reveals that often olive oil is adulterated with other, less valuable oils and mixed with solvents to extract as much oil as possible. This applies even to oils labeled as Extra Virgin. His book, Extra Virgininty: the Sublime and Scandalous World of Olive Oil, was an eye opener for me, even though I thought I knew a good bit about olive oil. The book also introduces readers to the many – often family owned – companies that are making excellent oils and how important it is for the market in fine oils to grow if people are to understand – and defend – good oil. He says that because so much oil is refined, a process that “deodorizes” the oil, many people no longer know what a first rate olive oil should taste like. All good, pure olive oils should leave a little tingling in the back of the throat from the oleic acid. Some call this the bitter aftertaste that even a buttery oil (like ours) should have. To demonstrate this point, there is a scene in the book where the author is talking with olive oil expert Paulo Pasquali, an Italian who has started “oleotecas”, modeled on the “enotecas” of the wine world, at his Villa Campestri estate north of Florence and at the Napa valley based Culinary Institute of America. His grandson of three years, Cosimo, runs up and grabs Pasquali’s leg saying “Ciao Nonno” and his grandfather places in his cherubic hands a cupful of the estate’s most pungent oil. As he gulps it down, Tom Mueller thinks the little boy will cry – his eyes well up, his face turns red – but he looks up and says “Buono!” and asks for more. But few are as discerning as Cosimo. There is so much olive oil fraud because people accept the bad oil as normal. But good oil is not only healthful, it is sacred. Mueller describes the rich history of oil in the Mediterranean and how it was used to appease the gods, in monasteries, and traded literally as currency. It was a common denominator of Mediterranean towns and regions and set those regions apart from the lard and butter cultures of the north. But even in the days of the Roman empire, the huge traffic in amphorae that generated piles of chards outside Rome still bear inscriptions with the source and vintage of the oils they contained. There was likely a great deal of fraud during those times as well. That said, it is hard to imagine that there was fraud on the scale of what has occurred in the last two decades. Mueller manages to interview many of the Italians that have been prosecuted (and the few that have gone to jail) for cutting oils with cheap cottonseed or hazelnut oils and doctoring papers at customs so these oils – brought by the tankerful to Italy – are passed off not only as extra virgin olive oil but as Italian extra virgin oil. Even worse are the refineries that take olive pomace – what remains after olives are pressed – and add solvents to extract the rancid and tarry oil. That is then “refined” by heating the oil to high temperatures and stripping it of solvents before adding some small quantity of extra virgin oil and labeling it as Extra Virgin. Not only does this produce a noxious product, but it transforms what was a healthy monounsaturated oil (the good fat) into a saturated oil (the bad fat). Reading about the long carbon chain of oleic acid (18 carbon atoms long), which is olive oil’s primary fatty acid, was fascinating to me. A century ago, chemists started hydrogenating oils, and breaking the chain, to close off the ability of hydrogen in air to attach to the chain, thus creating a longer shelf life. That may sound good but the reality is that, in this form, the oil fools the body into thinking it is a natural saturated fats (like butter), storing it in cells in ways that set off reactions that leads to heart disease, among other ailments. Even the scientific descriptions leave you feeling like you are right there with his very real characters as they tell their stories. There is so much to tell about the history of oil and its wide uses. I know from our own experience on our farm, no oil goes to waste and it is used for everything – even to get rid of bugs in sheep wool and to cure a colicky horse. But its uses on the skin and for good health – even possibly to stem Alzheimers disease – are the most interesting. And there is more and more evidence that olive oil is the lynch pin of the healthy Mediterranean diet. This book really inspired me to continue to advocate for good, pure, healthy olive oils. We are so lucky that we are among the tiny percentage of people making one of the best, pure, healthy oils. But it is a race against time. 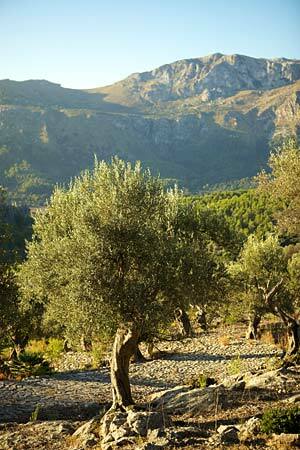 People are learning about good oils, but they have to learn fast enough and be willing to pay more for the good stuff before small producers are pushed out of business and olive groves abandoned by the cheap oil. As I say to my friends here in Mallorca, it is as if there was only one wine sold on the market – all sold as “Extra Virgin” plonk – when in fact we all know that there is a wide range of wines. 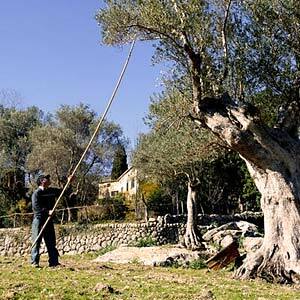 The same holds for good olive oil – one of the oldest and most venerable substances. We must all fight for its future.